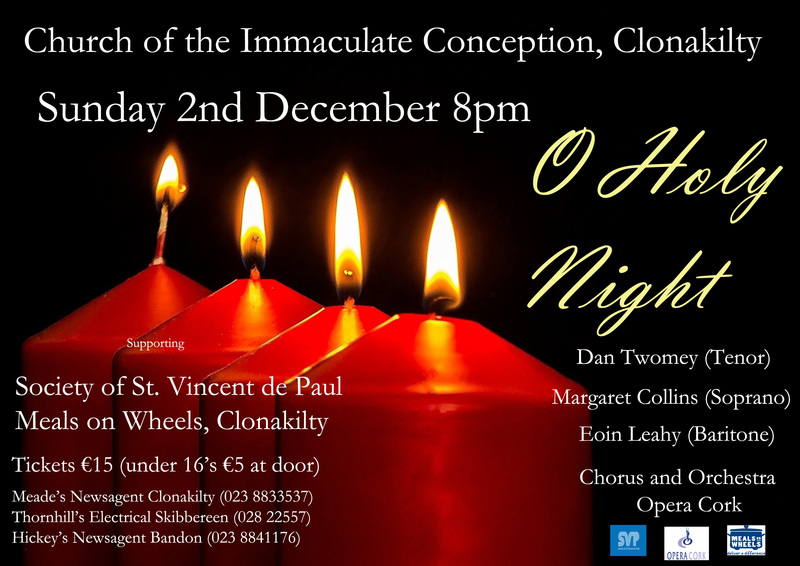 Dan was delighted once again to perform at his first concert of the Christmas Season at the beautiful Church of the Immaculate Conception in Clonakilty, West Cork. The concert took place on Sunday 2nd December 2018 at 8pm. The night featured a huge variety of Christmas and Non-Christmas Music.